Waterbury police are searching for a group of men stealing tires and car parts from earlier in the week. 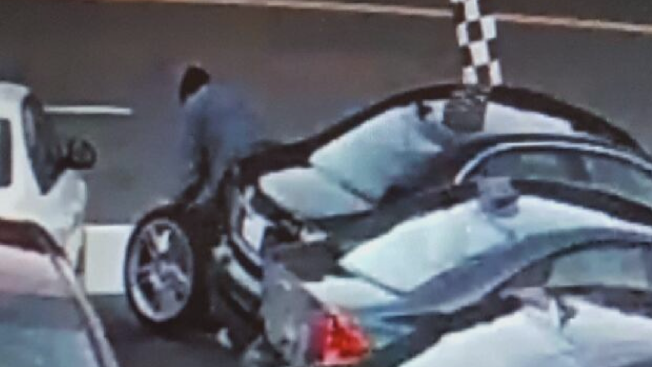 A surveillance photo shows the men stealing tires from Jim Juliani Motors on Homer Street Monday morning. Owners said a few weeks ago another one of their cars were damaged when thieves stole fog lights and tore up the interior. The parts stolen are costing drivers and business owners thousands of dollars in repair. "They took the side view mirrors off, broke the glass, broke into the interior, cut the dashboard up and did some significant damage to that car in order to get some parts out of it," said Manager of Jim Juliani Motors Michael Giordano. Police said the men drove away in a grey colored SUV. Anyone with information is urged to contact Waterbury police.